Undoubtedly green energy will be used more widely. Now the solar power comes into camcorder field. That’s Jetyo HDV-T900 Camcorder. Jetyo HDV-T900 Camcorder is manufactured by a China-based company in Shenzhen. The most unique feature is that the camcorder comes with two solar panels. When the camcorder are used under sunlight, the solar panel can simultaneously charge the rechargeable batteries in the camcorder. Moreover, Jetyo HDV-T900 camcorder comes with a 5-megapixel lens for recording videos with 1280 x 720p at 30 fps, or capturing images with up to 4000 x 3000 resolution, 3-inch LCD screen, 32MB internal flash memory, SD card slot for up to 32GB SDHC, as well built-in microphone and HDMI TV output. Like many Chinese gadgets, the Jetyo HDV-T900 camcorder has a favorable price. 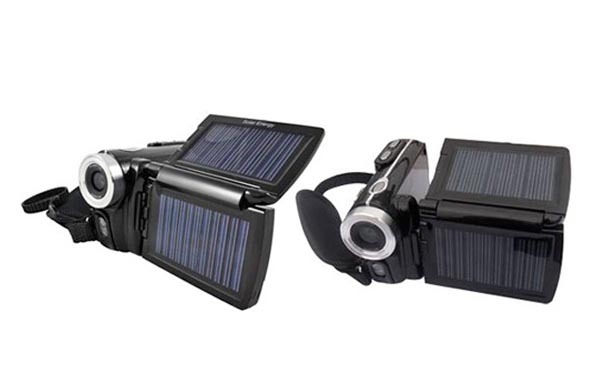 If you like this eco-friendly partly solar powered camcorder, you can get it for $88 USD from Jetyo. By the way, we have no idea whether the solar panels are effective enough to keep the camcorder using all day.